Trout 'n' Trail Bed & Breakfast would like to welcome you to the beautiful Maniototo plains surrounded by high country mountains. We offer King studio units each with a private ensuite, tea & coffee making facilities, self-service breakfast, seating area & mountain views. With great nature activities around such as fly-fishing, mountain biking, walking trails and much more, give us a call today! 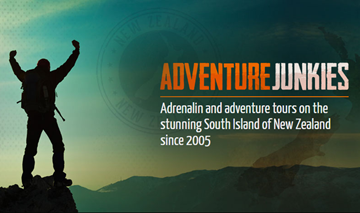 We look forward to welcoming you to this wonderful part of New Zealand. Refurbished & under New Management. Cosy guest house rooms with shared toilets, hot showers & baths. Guest lounge with Sky TV, Coffee & Tea making facilities & microwave. Complimentary breakfast included. Free Internet for 30 mins now available. The Lodge rooms all have private ensuites, King / Twin / Triple or Quads. Garden Patios or Balconies. Free Internet for 30 mins now available. DVD, complimentary breakfast included in all Studios with kitchen only. 2 x Bedroom Apartments. 1 King & 1 King with Single. 3 x Singles on request. Studio Apartments sleep 2 to 3 persons per room only. Breakfast available at extra cost. Free Internet for 30 mins now available. Studio , 1, 2 & 3 bedroom apartments. Centrally located in Wanaka. Walking distance to bars, restaurants , supermarket. Free unlimited strong, Wi-Fi, 50 plus channels sky with flat TV’s, full kitchens, washing machine and dryer, heat pump in each apartment. Free car parking. GUCCI HOUSE, Arthurs Point, Queenstown NZ. Key Features -Private Spa Pool, Mountain Views, Boat Parking, Media Room, Drying Room, BBQ, Please note this is not a venue. 5 Bedrooms & 3 Bathrooms this lovely luxury house sleeps up to 12 people. Min 4 night bookings, Rate is T$995 NZD per night including all linens, towels and the exit clean. *Bookings are accepted 30 days or less prior to check in. OR anytime between the following dates. 1st of May until June 10th 2019, and October 16th until Nov 12th 2019. Balmoral Lodge Queenstown brings a luxurious touch to your holiday with the city centre just a short walk away. We also offer an offsite 2 bedroom unit which is at a different location - Gorge Rd Apartment, so please check locations before booking.